Cubase SX 1, General Sequencer from Steinberg in the Cubase SX series. Not a revolutionary product, more EVOlutionary... but still a very comprehensive feature set. would like the dockable windows as mentioned by someone else... it is 2003 isn't it? haven't used any tech support yet... the updates have seemed to be effective. A must have for any desktop oriented studio... absolutely! Features are great, haven't found anything of note missing yet although i don't push it that far, and it is my first full on sequencer package. Could whinge about lack of OMF and other film/multimedia options, but i suppose that's what Nuendo is for. I found it very easy to usse and get going on. The main thing is getting your head around the file management, clips events parts regions etc. Sound is as good as your sound card. not really applicable. It's reasonably stable, has crashed a few times but keep in mind, mine's still v 1.02. I really like it, i'm not obsessed yet, but i get the feeling i soon could be, was going for logic until mac decided to screw PC users, but i guess that's their job. i think there is still work to do. How about some DOCKING? I am tired of floating windows that need to be managed by hand all the time! CONFIG: P4 2.4 Ghz PC, sis675 chipset, 3 strips of 256 MB DDR 2100 RAM, two hard drives 40 GB each, sound card M-Audio Audiophile 2496, MIDI SYS-Ego MIDITERMINAL in/4out 4. 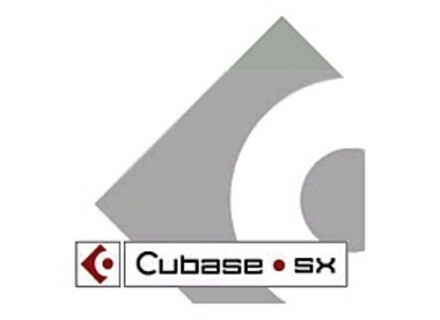 CUBASE SX first version, everything is stable. Intensive use for almost a year. Unfortunately, yes ... As Emagic Logic does not develop more PC! Installing a simplicity dconcertante.cubase j'ustifi good of his carractère intuitive. I work with a pc motherboard AMD 2400 + .512 MSI.processeur ddram.disque hard giga.le while 40 has a pair motu 896.je can assure you that cubase ronrone.au performance level, if you know someone who has a PC Pentium 4 3GHz 512 mb ram and lounge lizzard and cubase sx, made this little test.prenez care to disable the software patches fond.lancer sx.ouvrez cubase project vide.sur the rack vst activate lounge lizzard. open the VST performance and compare .... fun you add the polyphonie.j 'in which knowledge may be surprised even disgusting .... the fact on this platform AMD cubase seems very stable. I compose on cubase ... for me it is the ultimate software for compos.une very good management tools for the creation virtuel.disons cubase is the weapon fatal.mais ......... voila. I have two Mac and PC pc.sur I work with cubase sx mac and I work with DP4 and peak.et bias is the same as it hurts very badly. when I finished an assignment on sx I go on to master mac .... 2 on my platform I have a motu 896 ... you do the test file memes.le realize stereo with pc sx, when the Applying a bias treatment on peak, you take a slap so the dynamics of musical violently impressionante.dans First you say that you did a great purchase cot plugins (I apply the equalizer of bias, and the reverb bundle tc 3.0 and Nomad Factory limiter). believe me it is striking. we felt a change in the mix well when appliqait the same plugins on the file stereo.mais eccart this same dynamic was clearly much less pronnoncer. departing it was believed that this was due to core audio osx.mais dp3 ignores the core audio osx.seul DP4 uses. I feel that Digital Performer and Cubase SX does not support dynamic in the same way . Problem-free installation and config match. The manual is what it is ... PDF is a little abuse for software of this award. Especially since it is far from being complete ... 6 / 10 just for the manual, then! I use it since its release, replacing Cubase VST. BUT, because there is a "but", it becomes clear over time that many things are passing the trap between VST and SX. Concerning the particular MIDI (you can not use the compass to DCAL notes in the piano roll) and the Groove Quantize: Defines the System to the application and is an incredible burden, while he needed was a simple drag & drop with Cubase VST 5. Ct plug, the app is provided and the quality is more or less to go: let's say that by adding some good free plug, you will not get their hands the bag to work in good conditions. (The overdrive / amp simulator can in particular be replaced by plugs of Simuanalog freeware). Specially mention the little vocoder included: it is far from possible Vokator, but the thing is very simple to use and sounds done everything right. A ct Cubase and Logic are gnralistes and VST: Logic IDAL is if you have a MIDI config complex (more synths, samplers, expanders grate) but it is my feel a little too hard to use ... especially as Cubase SX is of great simplicity for me, despite major default, the last n Steinberg is by far the one that offers the best power / simplicitversatilit the march. It is becoming the most of three squenceurs document (see Eyrolles exxxcccceeeeelllllllent site and space VST). CONCLUSION: There's good (ergonomics and audio engine), the good months (some plugs dipensables trs) and things you see change Espree (Groove Quantize). We feel that with SX, Steinberg is a good basis that it will take small small complter. Matter be continued. As for whether you should upgrade to SX VST, all of what you dpend fates: If you mainly use Cubase for audio, is worth it. If you work in normment MIDI, be rather more cautious set may be of. 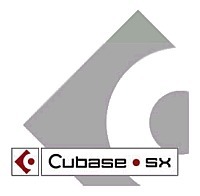 The installation of Cubase SX is no problem. Think it is Windows XP. I think it is now possible to use with W98 without setting date and without online help possible! No incompatibility but beware DIFFERENT plug in instruments, I have one that works but Cubase SX says missing a file. Dll? In the configuration with all beginners at noon and the audio is a little dlicate. It is true that this is not a word processor and the manipulation of such software is often a Premire of its kind. The manual is in. Pdf and must be said ... There's a vritable pav ... hard drive for printer ink. No problem running this software on my config. I had big problem with my config antrieure MIDI-based motherboard ABIT VIA chipset because of the USB or worse (I bought a PCI card with USB ports). I've never had a crash. The only crashes I meet are not ds SX - well I think - but all the programs that I plug in adds a slave and I feel like a bug, especially if I open a internet session ... not to do. I would also say that my computer is Fully ddi music with just one connection to the net for the records of software and updates. Especially not install Office package on the same computer! Performance is as midi Whereas in audio (treatments differ in appearance and in a timely rels). I use this software for over 6 months but I knew dj Cubase using it since version 3.7. At the very beginners, there's a few years, I worked on Atari but I never used other software midi / audio on a PC. A little regret for the GUI. I AIM it seems a little more pro. It would be nickel we can choose the colors of the interface and the Steinberg site offers customized version. I find the price justification and I advise everyone to buy it but be careful you may not be NCESS to use all functions of the SX ... then you turn the ct version of the SL least coteuse. I would do the same choice is clear. A laptop SONY VAIO GR 214 Pentium 3, 866MHz and 256 RAM an internal hard drive and an external 15 G to 100 G and I have no problems yet! la'aide edition of a complex external editor from a sonar. Really do indicate cot set up, a pin trs is well on its own with Windows XP, no need to be a god of computing. Intel 850MP motherboard with Intel Pentium 4 1.7Mhz, 80GB disk, 256MB RDRAM (Rambus 800Mhz, is still limited because my sound card on USB port that is consuming the machine). The software works well but the driver trs sound card EDIROL seems not to like the prsence another sound card driver ... o some instability at times. I use it for beginners October. I love all homogne "all in one" software, no need for too many products. The least, it is still many bugs in version. CAKEWALK before I tried that worked well (not the latest version which has just been released) SX is really the step above. Despite the possibilities of the software, the grip is almost empty.